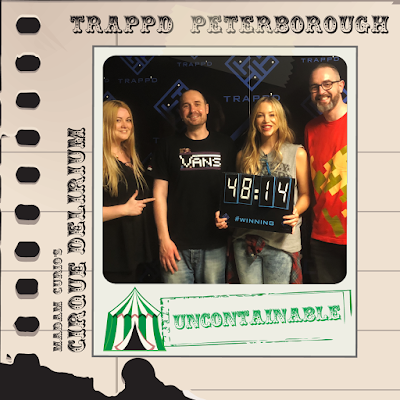 Troupes rounded, we run off to the circus to visit Trapp’d in Peterborough to play their bigtop themed escape room Madame Curio’s Cirque Delirium. After entering we start to notice the abnormal silence among the workers. They seem to labour along in a zombie-like state. They don’t blink or speak to anyone - not even each other. It isn’t until we recognise a stamp on one of their hands for Madame Curio’s fortune tent that we notice they all have the same distinguishing mark. A quick glance towards the sage’s tent tells us that passers-by are being reluctantly coerced into entering…and they never seem to emerge. Something rather sinister is happening and we realise that we could be next! The circus closes in 60 minutes and we can’t see an exit anywhere. We need to find another way out of this nightmare before Madame Curio steals our mind and we remain Trapp’d in the circus forever! Offering a heftier backstory than most escape games, we were already curious for what we was going to discover here so being led blindfolded into the room did well to enhance our intrigue further. Removing our blindfolds we were met by an eclectic mix of familiar and fun fairground games. We dashed up and down the sizeable space pointing out its many recognisable carnival stalls to our equally excited team mates. During our initial frenzied enthusiasm it was difficult to remain composed & we quickly had to remind ourselves that we were on the clock with an exit mission to complete! The majority of its tasks steered away from the traditional logic-based puzzles we’ve become accustomed to in escape rooms, instead providing skill based and mildly physical challenges that were cleverly incorporated into its theme. These were exhibited well, supported by befitting decor and props that further enhanced the rooms immersion. The game was search heavy in places but presented in a fun and frantic way, avoiding the frustrating experience this aspect sometimes affords if not incorporated correctly. The challenges within this room were immense fun to carry out but never particularly troublesome. A few of these undertakings were at times best completed by a solo player which occasionally left other team members merely watching on. We’d usually criticise this aspect preferring that everyone gets an equal opportunity to participate but Cirque Delirium did well to keep us all engaged, even as supportive spectators championing the team member who’d stepped up to the task in hand. We found the setting to be more akin to zany fairground than the sinister circus escape it’s publicity and backstory perhaps alludes to. Although this is no critic as its more placid, entertaining environment provides the perfect escape space for younger players to still enjoy too, with any previously anticipated malevolent moments notably absent. Without giving too much away, the only mildly sinister opportunities here are offered during times we believe Trapp’d could easily tailor to your individual teams nervous disposition. ...And whatever your age, you’ll find it extremely difficult to not clown around during its uniquely impressive big finale! 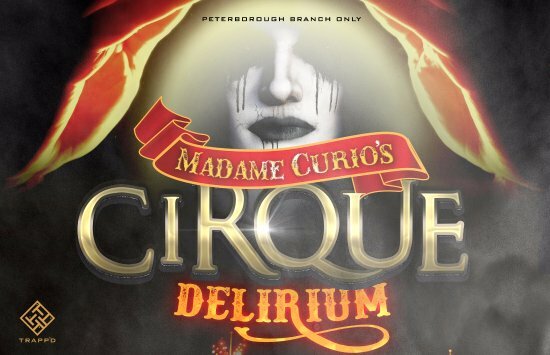 Overlooking a narrative that doesn't progress beyond its pregame briefing along with its in-game single rider opportunities, Madam Curio’s Cirque Delirium is still a helter-skelter of an escape room. 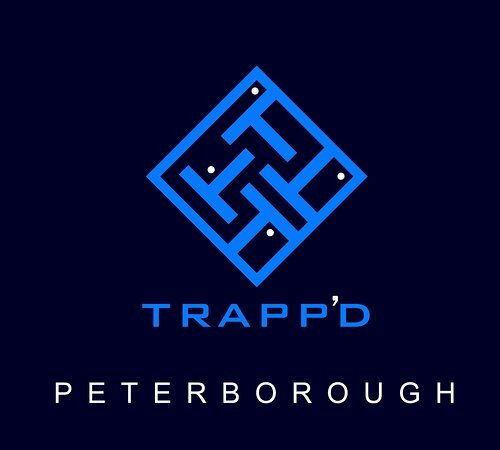 Providing the perfect balancing act of strong, novel skill based challenges, with a handful of logical puzzles and an immersive, theatrical set design. Comfortably somersaulting itself amongst the ringmasters of novelty, entertaining escape games currently on offer in the UK. Several of the minecraft server rental hosts give you different administrative privileges, to allow for you to install plugins and mods required for you to change the files, and provide a portal chock-full of add-ons to customixe their use. How very much achievement do you think you deserve? Croton Men's Dark Tarantula Chronograph Watch.